AVR-T32U4 is another development board based on ATMega32U4 thus compatible with Arduino IDE, so you can use it with AVRStudio+AVRGCC or with Arduino IDE up to your choice. 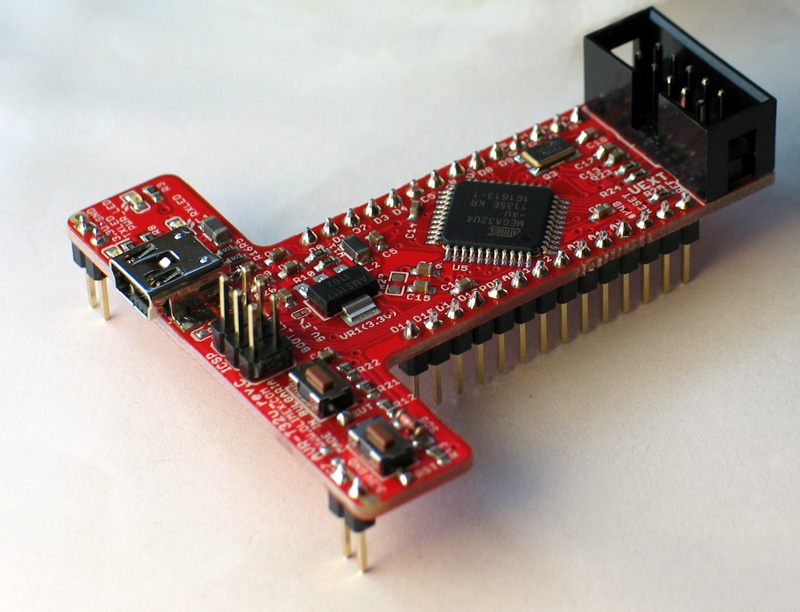 The board have USB mini connector, UEXT connector, RESET and user BUTTON and all GPIOs available on two rows + ICSP 6 pin connector for programming if you do not want to use Arduino IDE. YES when you plug it on Breadboard you got power supplied on the upper and lower power busses, so you have all GPIOs to wire jump without carrying for the power supply. This brilliant idea was invented by our friend Ken Segler who maintain DuinoMite DM-BASIC. He had PIC board in this shape which we loved the moment we saw it and decided to make AVR, MSP430 and PIC T-shaped boards, so MSP430-T5510 and PIC32-T795 were born this way. AVR-T32U4 is with retail EUR 12.95 and available in stock now! I know that’s the obvious answer, but I can’t seem to find it on the olimex site. you guys care to provide a link? 2) It appears as if there could be more room left on the breadboard if the power pins were on the other side of the arms of the T.
I updated to the latest Arduino IDE today. But after that, I could not upload any new code to the AVR-T32U4. I looks like uploading, but nothing changes. So I restored the older Version and works again. 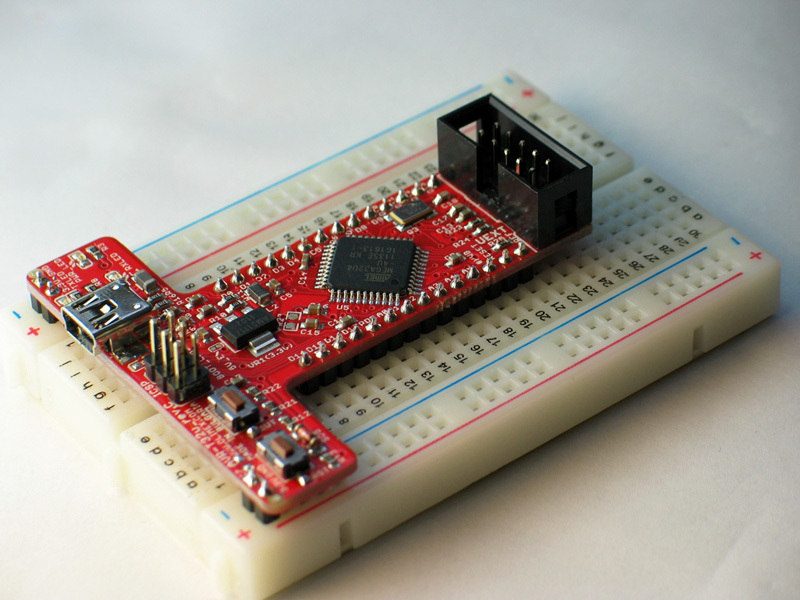 How can I use the latest Arduino IDE with the AVR-T32U4?